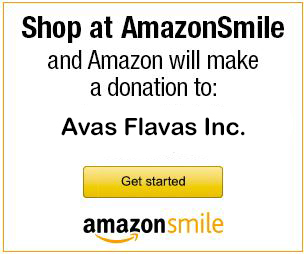 These links are provided as a resource to families; AvasFlavas does not endorse any of these sites or vouch for their credibility. Pediatric Oncology Resource Center – The resource center contains an incredible amount of links for financial aid, government help, drug reimbursement, credit counselor, and insurance help and more. Partnership for Prescription Assistance – The Partnership for Prescription Assistance brings together America’s pharmaceutical companies, doctors, other health care providers, patient advocacy organizations and community groups to help qualifying patients who lack prescription coverage get the medicines they need through the public or private program that’s right for them. Many will get them free or nearly free. Its mission is to increase awareness of patient assistance programs and boost enrollment of those who are eligible (description from site). Rx Hope – RxHope is exactly what its name implies — a helping hand to people in need in obtaining critical medications that they would normally have trouble affording. We act as your advocate in making the patient assistance program journey easier and faster by supplying vital information and help (description from site). RxAssist – Patient assistance programs are run by pharmaceutical companies to provide free medications to people who cannot afford to buy their medicine. RxAssist offers a comprehensive database of these patient assistance programs, as well as practical tools, news, and articles so that health care professionals and patients can find the information they need (description from site). National Human Genome Research Institute – This page provides financial assistance information, including advice on finding assistance with paying for medical care and procedures, treatments, medications, insurance issues and also in finding clinical trials. Kids Health – The Financial Management During Crisis page provides a guide to spotting financial trouble early and figuring out ways to deal with it. Includes advice on understanding the health care system, negotiating prices, and reducing your expenses.